Are old companies open to new techniques in marketing? 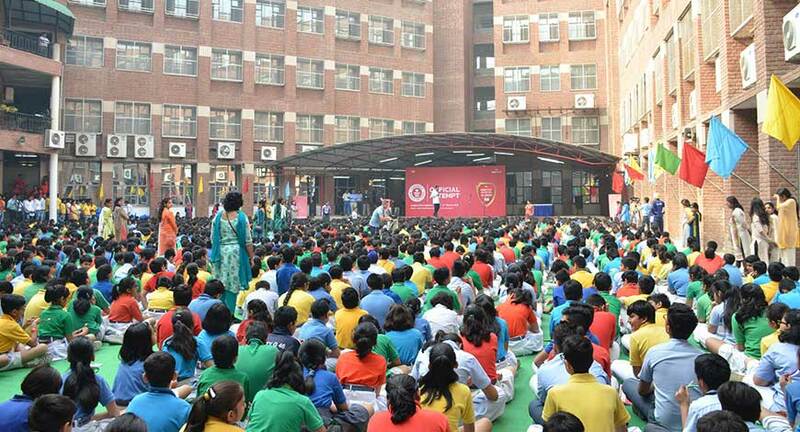 By organising this session with 1,822 school students of Amity International in Gurgaon Haryana, Dabur Red Paste has surpassed the previous Guinness World Records of ‘Largest Oral Hygiene session’ of 1,507 participants. 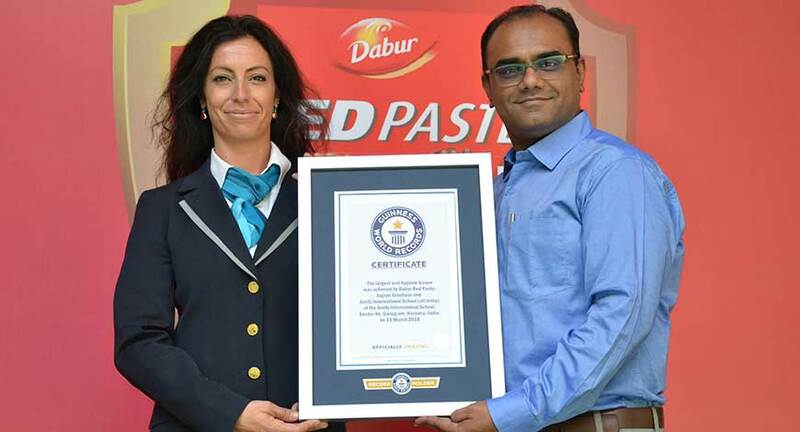 Talking about the initiative, Dabur India Ltd Marketing Head-Oral Care Mr. Harkawal Singh said: “We are proud to be a part of this GUINNESS WORLD RECORDS feat for largest Oral Hygiene session. Oral hygiene is an important part of being fit & healthy. If you look after our body and eating habits, it becomes equally important to look after our basic oral and dental hygiene. However, brushing your teeth is generally seen as a mundane and routine activity. So, there's a need to educate consumers and specially children about oral-care and its impact on overall well-being. This session is part of our several initiatives towards promoting oral hygiene among the new generation”. Speaking about this mammoth task Sunil Sharma, DGM-Activation Head – Dabur said: “This clutter breaking approach was taken to stand out significantly and register the brand message clearly to the end user. This award has been one of the biggest achievements by us in this segment”. As it’s been rightly said, “It’s never too early to encourage healthy oral hygiene for children”, understanding this habitual nag amongst the kids, Jagran solutions with its marketing dexterity & proven body of work over the years created another history. Envisioning and ideating the campaign right from congregating around 1822 kids, all at one place- Jagran Solutions constructively methodized entry of the children with Paper hand tags, sprucing, configuring into rows and relevant groups to whip it all into shape. Jagran solutions did a sturdy task of arranging as many tooth paste tubes, toothbrushes and flosses. Also administering the swarming procession of brushing teeth all in groups, together with a punctilious inspection carried within. In a conversation about this latest achievement, Pawan Bansal, COO at Jagran Solutions said “The tremendous outpouring of appreciation & acknowledgement for this collaborative masterpiece created is highly flattering. Kudos to the team who made this mammoth task a reality. 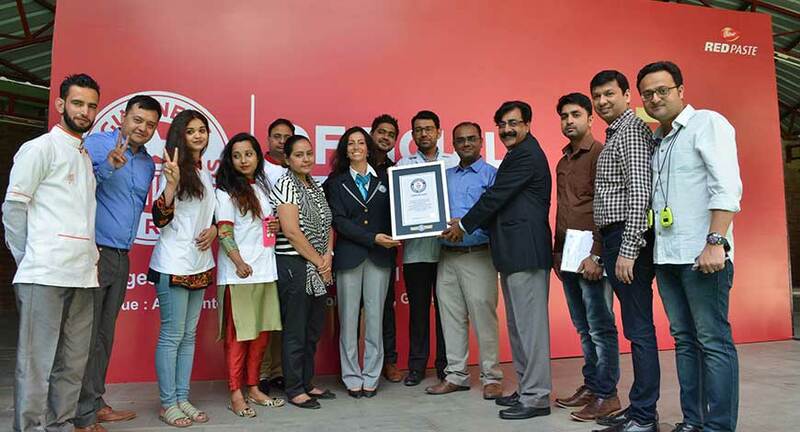 This Guinness World Records achievement represents our collective hope for a future whereby children are protected from oral health diseases and that our initiative can contribute to the society as a whole”.